Eugenics poster entitled "The racial composition of Jews." 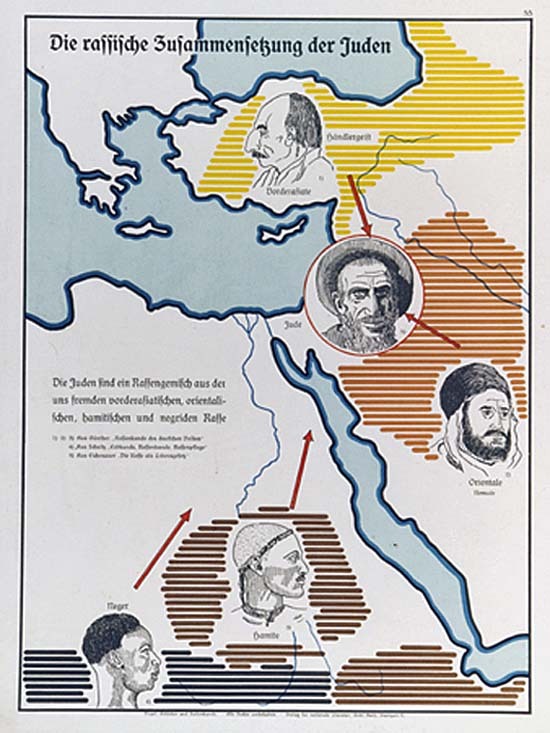 The German text reads: "The Jews are a mixture of alien Near Eastern, oriental, Hamite and Negroid races." This poster is no.55 in a series entitled, "Erblehre und Rassenkunde" (Theory of Inheritance and Racial Hygiene), published by the Verlag für nationale Literatur (Publisher for National Literature), Stuttgart.